Every now and then, a new-model Bob Dylan comes along to replace the old one, much to the delight or consternation of fans. Some Dylans have been better than others. Most everyone digs the idealistic protest singer, the wild-eyed rock ’n’ roll Picasso, and the reclusive basement taper. Fewer miss the live Bob Dylan At Budokan Vegas bandleader, the Christian zealot, or the guy in the ’80s with the blazers and earrings. 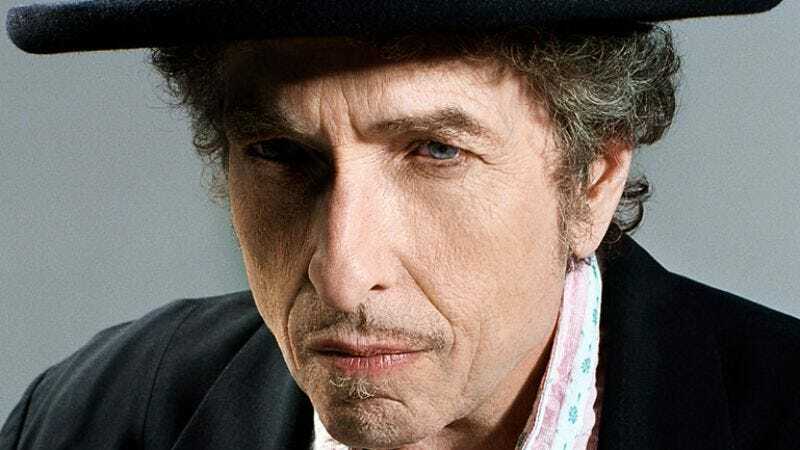 Somewhere in between is Dylan the Great American Songbook crooner. That’s the one found on Fallen Angels, the rock legend’s second consecutive collection of standards that are mostly associated with Frank Sinatra. (Ol’ Blue Eyes recorded 11 of these 12 tunes.) While this latest Dylan arrived at a strange and unfortunate time—right in the midst of a late-career hot streak spanning 1997’s Time Out Of Mind to 2012’s Tempest—he’s worth having around. Compared to last year’s Shadows In The Night, this second standards set, recorded at the same time, is a lighter, less elegiac affair. The sonics are naturally the same, Dylan leading a tiny ensemble featuring upright bass, occasional percussion, and acoustic, electric, and pedal-steel guitars. But he trades lovers’ laments like “I’m A Fool To Want You” and “Where Are You?” for sunnier tunes like opener “Young At Heart.” If he figures everyone will snicker at the voice of the ’60s counterculture singing like a twinkly-eyed old coot, he never winks back. 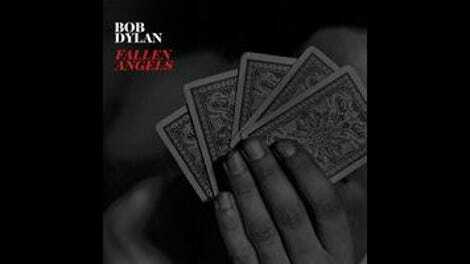 In so many of these tracks—the rosy-cheeked “Polkadots And Moonbeams” and the sublime violin-aided take on Hoagy Carmichael and Johnny Mercer’s masterful “Skylark”—it’s Dylan moving gently and gracefully through material he obviously loves. About the singing: Yes, Dylan’s voice is a suitcase that’s been kicked down a few too many streets, but the leather is smooth enough, and it’ll still hold whatever feelings Bob needs it to. There’s hopefulness on “Maybe You’ll Be There,” outfitted with lovely violins and horns, and romantic determination on “All Or Nothing At All,” a jazzy number with a swinging beat and down-stroked electric chords. The latter, like “Melancholy Mood,” could’ve fit on Love And Theft or any of the subsequent records Dylan made in his old-timey, blues-rocking Mark Twain guise. For whippersnappers, Fallen Angels is a reminder that great poetry and complex emotions existed in American song well before 1962. The slightest track, “On A Little Street In Singapore,” might be the most intriguing, with its surfy guitar and intimate performance; at one point you can hear Dylan inhaling, perhaps imagining whiffs of Shalimar. The other notable changeup is “That Old Black Magic,” a wire-brush galloper that moves almost like a ’60s Elvis cut. After two albums of pop standards, it’s unclear whether this Dylan will get another wear out of his tux. Maybe we’ll see the return of that resurgent craftsman of the ’00s or the arrival of a new character. If this Dylan does cede the spotlight to another one, he’ll have left on a high note, deserving of a curtain call.